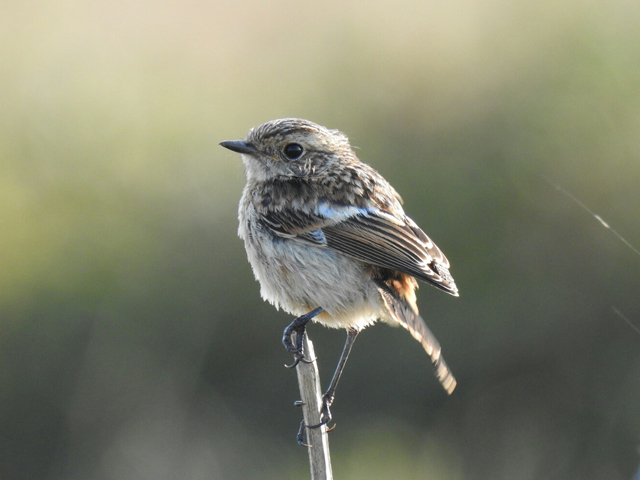 While the rest of the South West basked in showers of migrating birds, we were struggling with numbers if not quality. A clinched Ortolan Bunting was the highlight of the morning along with the usual 45 Yellow Wagtails, 4 Grey Wagtails and 2 Tree Pipits. Other migrants of note included: 3 Spotted Flycatchers, 25 Whitethroats, 46 Wheatears, 2 Whinchats, 2 Reed Buntings, 2 Whinchats, 3 Whimbrel, 1 Greenshank, 1 Snipe, 1 Redshank, 1 Sedge Warbler, 1 Great Spotted Woodpecker and 4 Chiffchaffs. 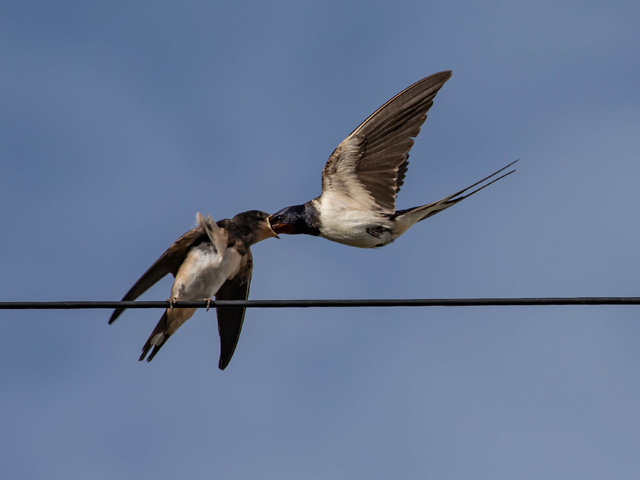 There was also a semi-decent movement of Hirundines and Swifts with 55+ Swallows, 11 House Martins, 4 Sand Martins and 3 Swifts. 17 Balearic bwere the highlight on the sea. The final results are in from the Little Tern project on Chesil Beach and in the 2018 season 37 pairs managed to successfully fledge 25 juveniles. In addition, 12-15 pairs of Ringed Plover and 1 pair of Oystercatchers were monitored within the Tern colony. A brilliant success for the volunteers considering the pressures from some particularly persistent Kestrels. 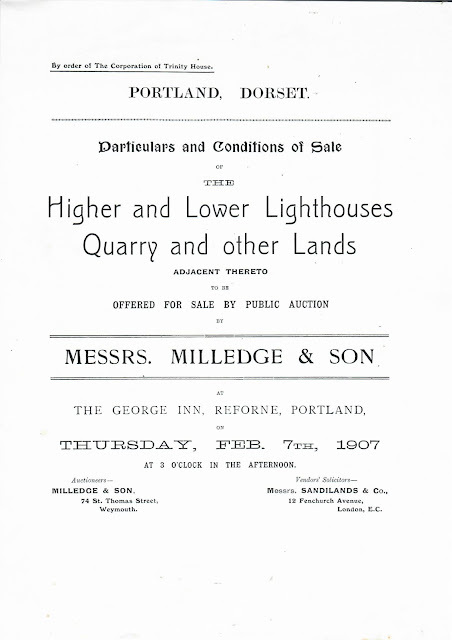 An update for Obs members and visitors on the situation with the Obs Quarry and adjacent fields: today we heard from our solicitors that the various legal necessities that followed our purchase of these parcels of land at auction on 27th July have been completed and we are now officially the owners. Many thanks indeed to our Hon Treasurer, Lucy Cumberland, for her time and effort in dealing with this matter on our behalf. A vast improvement on recent days, the wind from the North-east and heavy cloud cover for much of the morning aided in enhancing our day tallies immensely. The morning started with cracking views of a hunting Barn Owl across the newly purchased field followed by 50+ Yellow Wagtails, 12 Tree Pipits, 7 Grey Wagtails and a possible Ortolan Bunting. 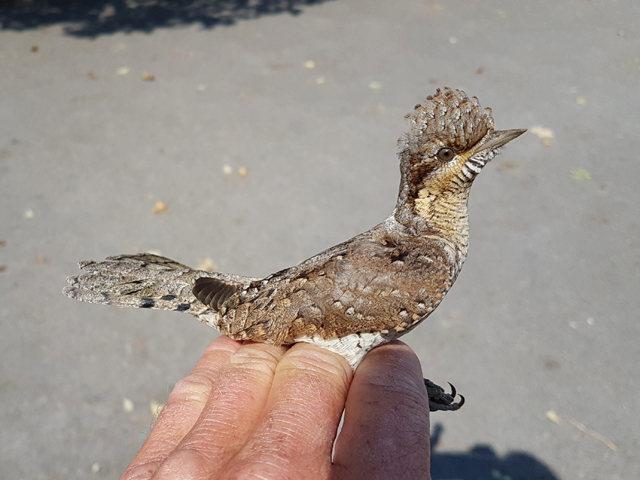 Yesterday's Wryneck put in another appearance in the garden favouring the warm, open grass where it was joined by 7 Spotted Flycatchers, 1 Male Redstart (a second was sighted in the top fields), 1 Garden Warbler, 25 Willow Warblers, one of three Pied Flycatchers, 11 Robins, 1 Chiffchaff and 5 Sedge Warblers. The top fields provided some added bonuses with 1 Short-eared Owl, 18 Wheatears, 1 Whinchat, 10 Willow Warblers, 18 Whitethroats, 25 Meadow Pipits and a Hobby. The Balearic Shearwaters had a resurgence today with 29 past the Bill this morning accompanied by 5 Common Scoter, 1 Manx Shearwater, 1 Dunlin, 1 Common Tern and 7 Teal. Elsewhere on the island the migrants were starting to show their faces with Yellow Wagtails at Suckthumb, Ferrybridge and Weston. 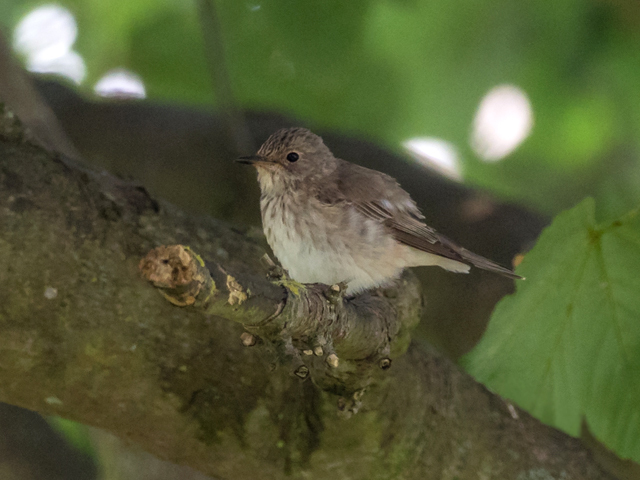 A Spotted Flycatcher, female Redstart and 6 Blackcaps were also of note in Suckthumb quarry and a Pied Flycatcher at Blacknor. An Osprey flew south over Ferrybridge, with 138 Ringed Plover, 28 Dunlin, 2 Sanderling, 18 Turnstones, 3 Wheatears, 1 Yellow Wagtail and 2 Mute Swans making up the rest of the totals there. Although numbers were far from anything to shout about today's migrant assortment had a more enticing mid-autumn feel to it, with some quality coming in the form of 2 Ortolan Buntings sound-recorded overhead during the hours of darkness and a more-or-less on cue Wryneck mist-netted at the Obs during the morning. 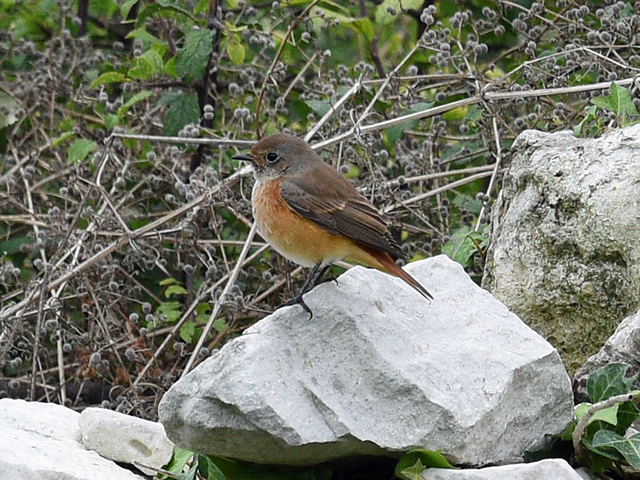 Migrant totals at the Bill included 40 Yellow Wagtails, 13 Tree Pipits, 4 Pied Flycatchers, 3 Whinchats and singles of Hobby, Redstart and Reed Warbler, with 2 passing Balearic Shearwaters providing a modicum on interest on the sea there. Nick Hopper made a well-timed return to the Obs last night for another session of nocturnal recording; although there was nowhere near the quantity of the previous two sessions 2 Ortolan Buntings - one at 01.14 and the other at 04.12 - provided some welcome quality. Also noteworthy was an early Water Rail but, in stark contrast to the previous sessions, the only waders were singles of Greenshank and Common Sandpiper. Other callers were: Common Tern 1, Pied Flycatcher 1, Robin 2, Yellow Wagtail 4, Tree Pipit 71 calls and a Chiffchaff - the latter a rare nocturnal caller. The calm after the storm didn't bring the much anticipated arrival of birds, however, a few moths of interest were trapped in the course of the previous night. On the birding front, the only bird of note was the first Blackcap of the autumn within the Obs recording area. The usual morning ensemble of 10 Yellow Wagtails, 9 Tree Pipits and 2 Grey Wagtails were, as usual, a pleasure. A Great Spotted Woodpecker trapped in the garden in the late morning added some much needed entertainment. The rest of the daily totals consisted of: 1 Whimbrel, 14 Wheatears, 10 Willow Warblers, 4 Robins, 9 Whitethroats, 2 Sand Martins and 1 Short-eared Owl. The mornings seawatch brought with it: 6 Manx Shearwaters, 1 Common Scoter, 1 Balearic Shearwater, 9 Mediterranean Gulls and 1 Black-headed Gull. 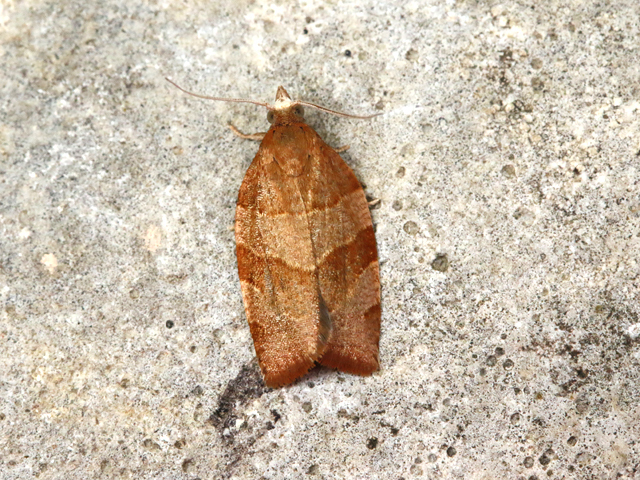 The only slightly out of the ordinary migrant at the Bill was this - newly arrived? 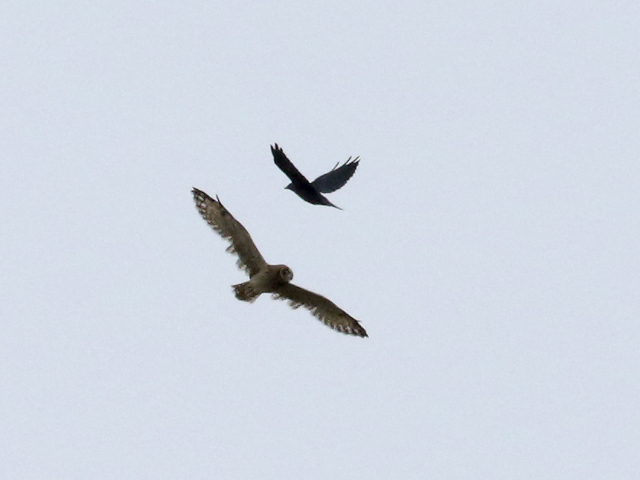 - Short-eared Owl high overhead with a mob of corvids in tow. We don't know a lot about owl ageing but we're guessing from its shoddy flight feathers that this individual isn't a bird of the year; we're also guessing it would much rather not have migrated any sort of distance with its plumage in this state. It seems as though there are plenty of Asio owls arriving a lot earlier than usual this autumn at the coastal watchpoints - is there a vole shortage on the continent? A wholly unremarkable day. Highlights (although highlight may be considered a gross exaggeration) from the Obs area were all trapped within the garden and consisted of 1 Reed Warbler, 1 Robin and 1 Willow Warbler. A further 3 Willow Warblers, 1 Chiffchaff, 1 Whimbrel, 2 Tree Pipits and 11 Wheatears made the days land-based totals. On the sea, 6 Balearic Shearwaters and 2 Common Scoter were our only offerings. A Pied Flycatcher away from the Obs area was, once again, the best passerine of the day. Ferrybridge saw a slightly better result with 3 Wheatears, 2 Sandwich Terns, 1 Sanderling, 24 Turnstones, 59 Dunlin and 25 Ringed Plovers. Dreich doesn't begin to cover this afternoon. A blustering gale and heavy downpours dominated most of the day. A couple of excursions early doors, before the full force of the weather was unleashed revealed a rather unremarkable days birding on land. 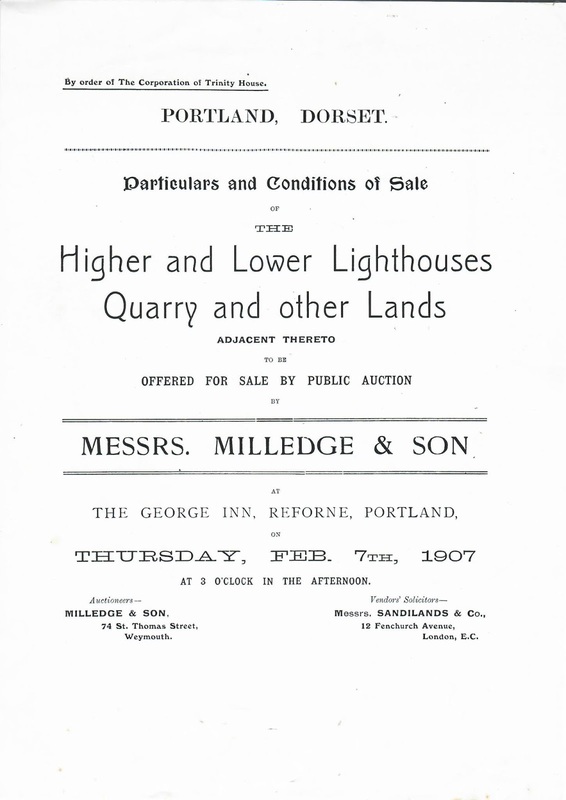 The sea too was unexceptional until later in the day when the view cleared slightly. The totals for todays migrants amassed to: 15 Yellow Wagtails, 2 Tree Pipits, 6 Robins, 1 Willow Warbler and 1 Chiffchaff. The sea provided more entertainment with the highlights of: 1 Pomarine Skua, 4 Sooty Shearwaters and 6 Balearic Shearwaters. In addition, there were 6 Commic Terns, 5 Sandwich Terns, 8 Kittiwakes, 3 Bonxies, 20 Manx Shearwaters, 1 Arctic Skua, 1 Black-headed Gull, 3 Ringed Plovers and 3 Razorbills. Elsewhere on the island, a single Pied Flycatcher and 4 Blackcaps at Old Hill were the choice pick of the passerines and a Black Tern past Chesil was the first for the year. A crisp, calm and clear morning gave an indication that the end of the summer is nigh. 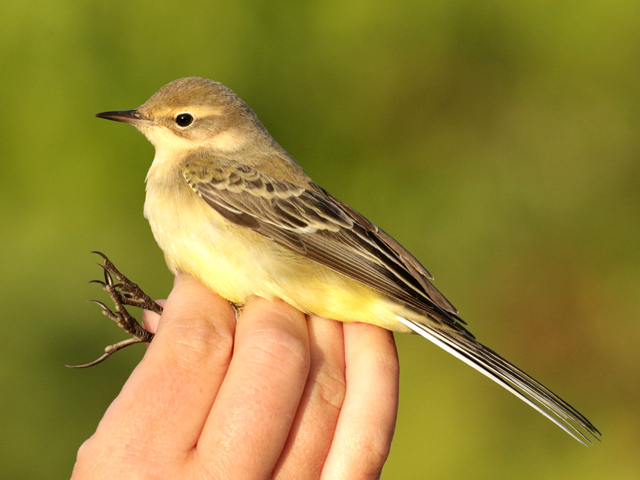 Although not necessarily helpful for the ringing totals, the clear skies and Westerly winds did not hamper a reasonable sightings list, the highlights being 2 Grasshopper Warblers (they have been a scarce commodity this year), 44 Yellow Wagtails and 3 Reed Warblers. In addition to this we had: 3 Sand Martins, 10 Tree Pipits, 6 Sedge Warblers, 37 Wheatears, 8 Whinchats, 1 Lesser Whitethroat, 1 Alba Wagtail, 15 Willow Warblers and a lone Chiffchaff. A marginally less productive sea watch than yesterday saw 47 Manx Shearwaters past, 8 Balearics, 2 Oystercatchers, 2 Common Scoters and 1 Bonxie. Ferrybridge returned to its usual early autumnal standards with: 2 Black-tailed Godwits, 1 Whimbrel, 19 Turnstone, 80 Dunlin, 8 Ringed Plover, 2 Sandwich Terns, 4 Wheatears, 1 Little Egret and 3 Sanderling. It's hard to believe that two days ago we were hailing the start of a glorious autumn, although the weather was more fitting for this time of year the birding certainly wasn't. Passage at sea provided a pleasant surprise with a good movement of 45 Balearic Shearwaters, 16 Manx Shearwaters, 3 Common Scoters, 2 Yellow-legged Gulls, 2 Mediterranean Gulls, and a Commic Tern. A grand total of zero birds were trapped in the garden throughout the morning, however the species list was not as miserable as yesterday. An autumnal high of 59 Yellow Wagtails was perhaps the highlight migrant wise along with a single Swift, 7 Tree Pipits, 8 Sand Martins, 23 Wheatears, 1 Chiffchaff, 3 Willow Warblers (the lowest total for quite some time), 1 Garden Warbler, 1 Whinchat and (although not technically a migrant) a single Great Spotted Woodpecker. 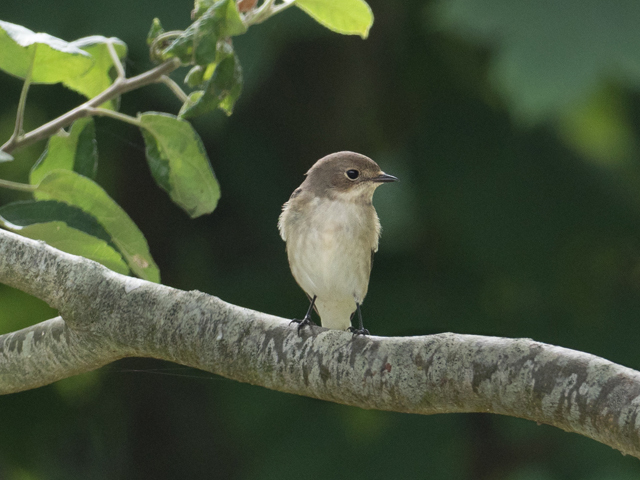 Elsewhere on the island, an excursion to Suckthumb quarry produced 1 Blackcap, 2 Spotted Flycatchers, 1 Willow Warbler and 1 House Martin whilst Reap Lane produced 10 Yellow Wagtails and 3 Wheatears. 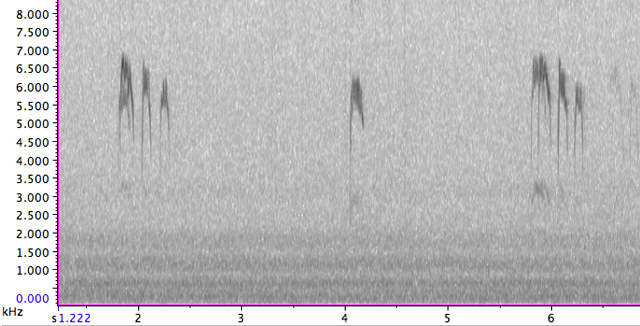 Once again we have Nick Hopper to thank for another session of nocturnal migration recording, the night of the 21st/22nd August produced a bumper 1,142 Tree Pipit calls - of these, there were just 31 before 2am but then the floodgates opened once thick cloud rolled in. This pattern was true for almost all the species recorded that night which included: 7 Pied Flycatchers, 3 Spotted Flycatchers, 14 Robins, 5 Yellow Wagtails (and 4 small flocks), 3 Alba Wagtails (an unusual night caller), 1 Green Sandpiper, 3 Common Sandpipers (and a small flock with singing birds), 2 Redshank, 1 Whimbrel, 2 Turnstone, a flock of Bar-tailed Godwits and reasonable numbers of Ringed Plover and Dunlin flocks. Today could only be described as a tad of an anti-climax. After yesterdays fall of migrants we were left scrabbling round for those who had not departed in the brief spell of clear skies before dusk. A highlight of just 3 Pied Flycatchers set the tone for the day with a supporting cast of: 9 Yellow Wagtails, 7 Willow Warblers, 24 Wheatears, 6 Tree Pipits, 2 Swifts, 5 Whinchats and our long-staying Chiffchaff. Our meagre sea-watch consisted of just 2 Mediterranean Gulls, 1 Yellow-legged Gull and 7 Whimbrel. Reports from Ferrybridge were just as dire with a single Common Sandpiper and similar numbers of everything else as yesterday. Fingers crossed for a change in the wind! 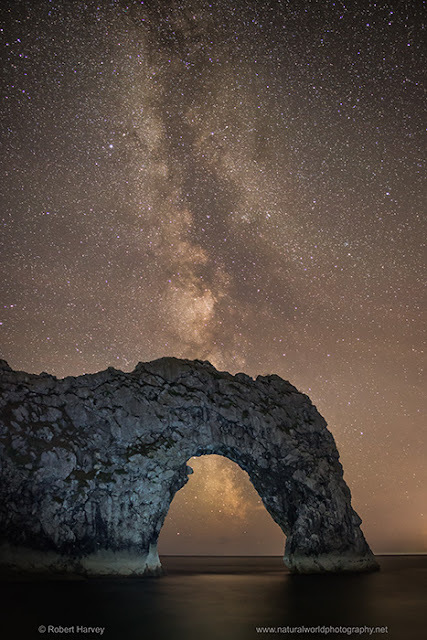 The time spent star gazing last night did not give us a huge level of optimism for a good day today, however the weather transmogrified and the morning brought with it thick cloud that must have formed over night. 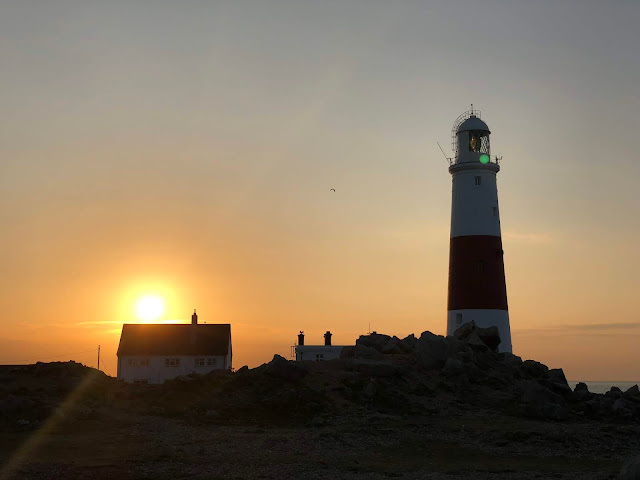 It was immediately obvious that some birds had arrived with the sounds of Willow Warblers flicking through the trees and Swallows swirling around the lighthouse. 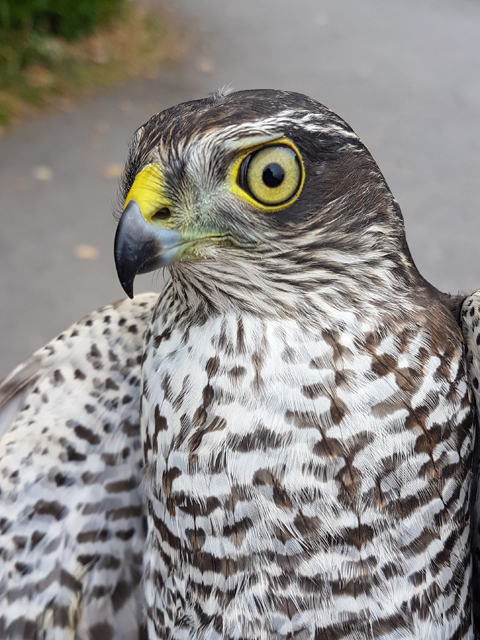 77 birds were trapped in total between the garden and the Crown Estate Field. A passage of 135 Willow Warblers was supported by 18 Tree Pipits, 25 Yellow Wagtails, 2 Grey Wagtails, 3 Lesser Whitethroats, 5 Redstarts (plus an additional 2 at Southwell), 8 Sedge Warblers, 12 Pied Flycatchers, 4 Spotted Flycatchers, 2 Chiffchaffs, 3 Whinchats and 36 Wheatears. The mornings sea watch came very much second to the land-based migration spectacle, so a total of 10 Manxies, 7 Common Scoter, 2 Mediterranean Gulls and 1 Balearic Shearwater were all the day had to offer. 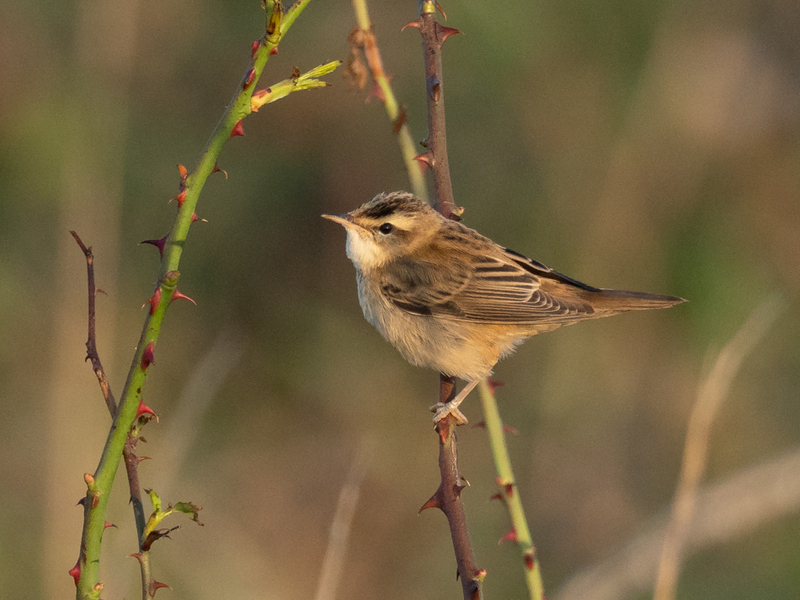 Elsewhere on the island 2 Sedge Warblers, 4 Whitethroats, 1 Pied Flycatchers, 18 Yellow Wagtails, 4 Tree Pipits and 2 Blackcaps in Suckthumb quarry. Ferrybridge suffered from the gloom produced by the morning cloud cover and a total of 6 Curlew, 2 Sanderling, 1 Yellow-legged Gull and 3 Wheatears were the best of the offerings at dawn; an improvement later saw the year's first Curlew Sandpiper show up, along with 18 Curlew, 5 Common Sandpipers and a Merlin. We've been very pleased that Nick Hopper has been able to make it down to spend a couple of nights engaged in some 'proper' nocturnal recording effort. 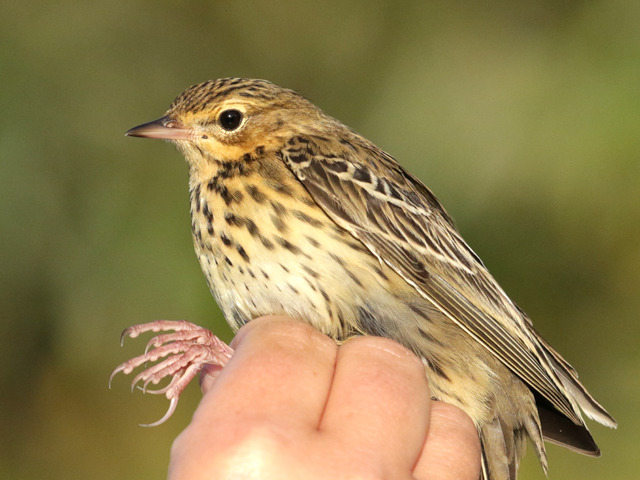 Nick's first report covers the night before last - 20th/21st August: It was a night completely dominated by Tree Pipits; until midnight numbers of birds heard were able to be estimated, however after midnight the birds started to arrive in waves and so call counts were resorted to - by the end a total of 611 calls were logged! Dunlin and Ringed Plover were also moving in numbers with regular calling throughout the night from apparently single birds to decent sized flocks. Other birds logged: Spotted Flycatcher 3, Pied Flycatcher 2, Robin 12, Yellow Wagtail 2, Sandwich Tern 1, Common Sandpiper 1, Knot 1 and a flock of Whimbrel. Today started with the feeling that something interesting should happen, with the soft winds and thick cloud cover reminiscent of many decent autumn days, it felt like migration should be upon us. No 'biggie' turned up but the clinching of yesterdays mystery Hippo was a definite highlight with the elusive Melodious Warbler finally giving itself up (it was actually remarkable obliging considering yesterdays antics). Other than this, a small passage of commoner migrants was recorded with: 6 Yellow Wagtails, 5 Tree Pipits, 2 Grey Wagtails, 2 Pied Flycatchers, 1 Chiffchaff, 34 Wheatears, 4 Whinchats, 55 Willow Warblers, 1 Spotted Flycatcher, 4 Sedge Warblers and 4 Swifts. A single Bonxie, 2 Balearics and 13 Common Scoter were all the sea could muster. A brief trip to the berry-filled Suckthumb Quarry produced 9 Whitethroats, 1 Blackcap, 2 Lesser Whitethroats, 4 Willow Warblers and 1 Swift. Ferrybridge was back to its usual form with: 2 Black-tailed Godwits, 2 Curlew, 1 Redshank, 137 Ringed Plovers, 81 Dunlin, 20 Turnstone, 3 Wheatears, 1 Whinchat and 3 Yellow Wagtails. 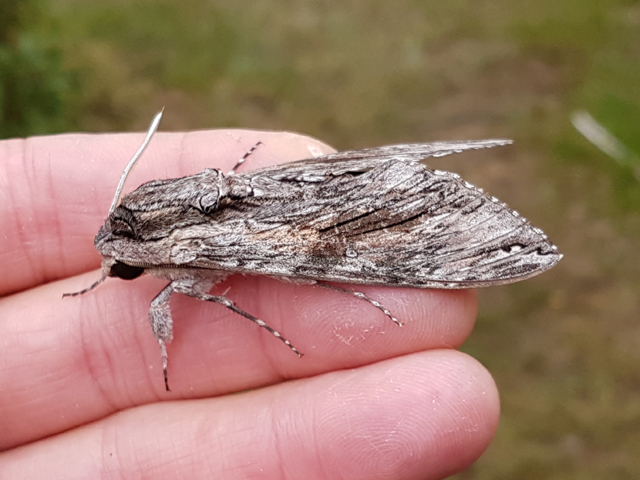 Moth-wise, the day's the best immigrant was another Convolvulus Hawkmoth, this one found settled on a beach hut at the Bill. The toil for a scrap of quality continued and looked to have nearly had some reward this morning when a Hippolais warbler showed up in the Obs Quarry; sadly, however, it proved to be extremely elusive and although Melodious was suspected the views were not quite clinching before it vanished. Commoner migrants were a tad more numerous, with 25 Willow Warblers, 2 Pied Flycatchers, a Yellow-legged Gull and the first Redstart of the season amongst the tally from the Bill/Southwell and 2 Yellow-legged Gulls and a Greenshank at best from Ferrybridge. With the huge numbers of gulls that had been offshore for several weeks having now looked to have moved on the sea has become noticeably less noisy and at the same time also conspicuously underwhelming in terms of movement, with little more than 13 Common Scoter and singles of Manx Shearwater and Balearic Shearwater through off the Bill. Another 2 Convolvulus Hawkmoths were the pick of the overnight moth catch at the Obs. Still slow on the migrant front with the muggy, heavily overcast Atlantic airflow looking to be keeping potential departers grounded well before they've reached the coast. A few single figure totals of routine fare included a lone Pied Flycatcher at the Obs and 2 Yellow-legged Gulls at both the Bill and Ferrybridge. Ten Manx Shearwaters, 6 Balearic Shearwaters and a Great Skua passed through off the Bill. 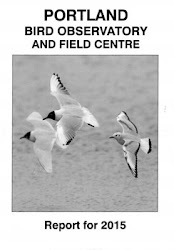 A reminder that there's an In Focus field event at the Obs between 10am and 4pm next Tuesday, 21st August. The less said about today's meagre return the better: just 2 birds trapped in several hours of trying at the Obs/Crown Estate Field, 2 Balearic Shearwaters and singles of Manx Shearwater and Great Skua the only rewards from the sea and a Whimbrel the best of the waders at Ferrybridge. Roll on something that isn't heavily overcast westerlies. Another single Convolvulus Hawkmoth at the Obs was the best of the overnight immigrant moths. Busy days have been at a premium thus far this this autumn so today's half decent little flurry of grounded migrants at the Bill was very welcome. Willow Warblers totalled 70, whilst the back ups included 25 Wheatears, 20 Whitethroats and 15 Sedge Warblers, with Grasshopper Warbler, Reed Warbler, Lesser Whitethroat and Pied Flycatcher all chipping in with singles or twos. Overhead passage begun soon after first light with 6 Tree Pipits, 2 Grey Wagtails and 2 Yellow Wagtails but faltered after the first small wave of hirundines had passed through. Routine fare in the wader line at Ferrybridge included 66 Ringed Plovers, 55 Dunlin and a Sanderling, whilst 4 Balearic Shearwaters through off the Bill constituted the day's only worthwhile sea passage. On a cooler night than of late 3 more Convolvulus Hawkmoths (2 at the Obs and 1 at the Grove) were the best of the immigrant moths. It would be safe to say that this morning we did not wake with our usual vim and vigour, the lashing rain and howling wind could be heard from bed and it was most definitely not the day for an early start. The inclement weather made sea watching the only viable option for most of the morning, the highlight being two Storm Petrels lingering with the Gulls. In addition to this there were 16 Common Scoters, 1 Balearic Shearwater, 7 Manx Shearwaters, 1 Great Skua, 3 Mediterranean Gulls, 2 Sandwich Terns and 1 Common Tern. Once the rain had eventually alleviated, play resumed as usual and some migrants were tracked down. 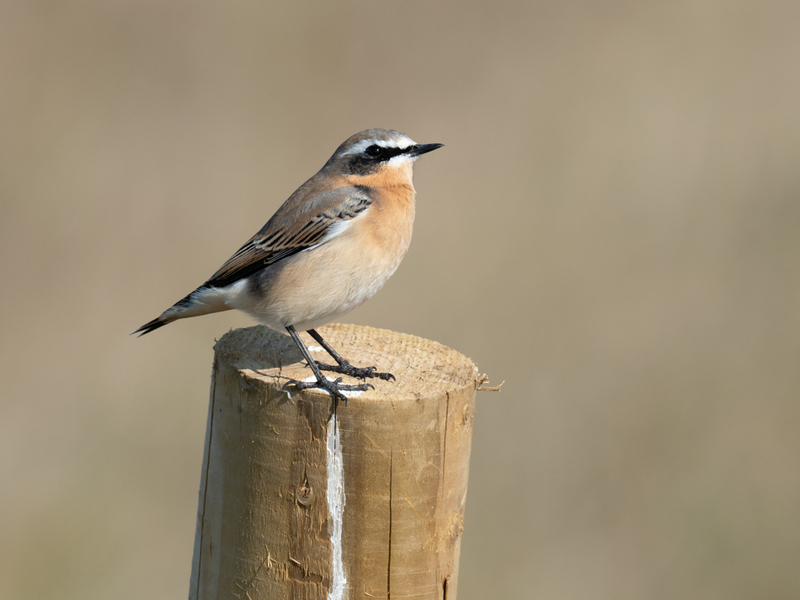 The largest count of Wheatears this autumn was bolstered by 26 birds on the East cliffs bringing the total to 39, a single Tree Pipit, Whinchat and Lesser Whitethroat added to the days species totals and 10 Willow Warblers rounded it off in the Obs area. 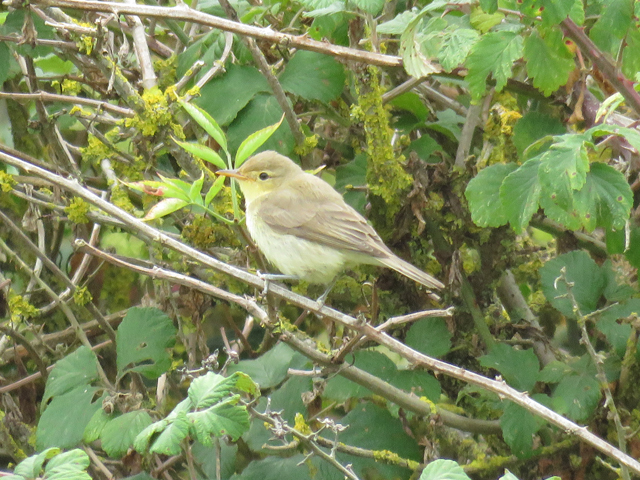 A quick visit to Suckthumb Quarry was rewarded with 2 Garden Warblers, 5 Willow Warblers and a Sand Martin. 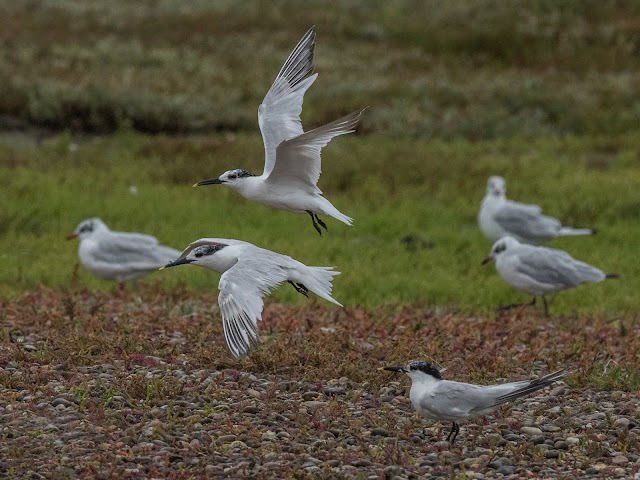 Ferrybridge suffered also in the dawn downpour with just 2 Little Terns, 4 Sandwich Terns, 1 Common Tern and 1 Redshank. The delusional amongst us awoke under the sad misapprehension that the dreary skies of a mid-August dawn promised a worthwhile flourish of migrant activity - perhaps this might have been the case a couple of decades ago but times have moved on. What few rewards there were on the land at the Bill included just into double figure totals of Wheatear and Willow Warbler but little else by way of quality beyond a lone Pied Flycatcher; 3 of the dispersed locally-bred Tree Sparrows were also dotted about there. With the breeze freshening from the west the sea got plenty of looks but 40 Mediterranean Gulls, 13 Common Scoter, 6 Balearic Shearwaters, 3 Manx Shearwaters, 2 Arctic Skuas and a Whimbrel accounted for the best of things off the Bill. 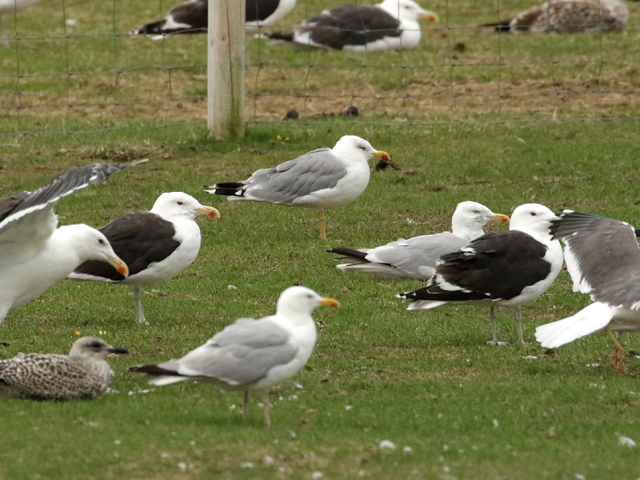 The only other reports came from Ferrybridge where a few Yellow-legged Gulls and 2 late Little Terns were of note. 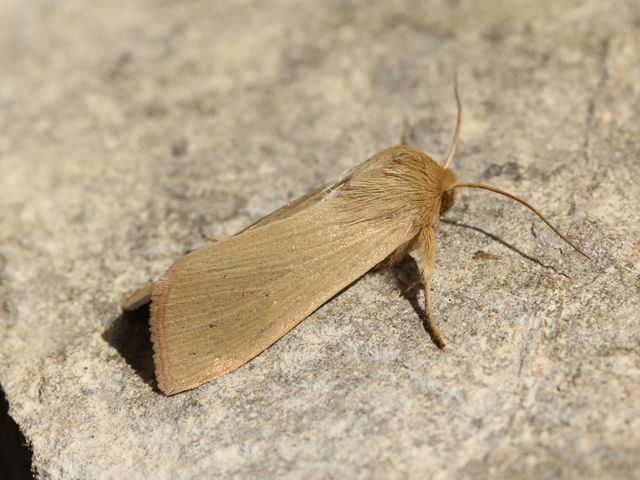 Another single Convolvulus Hawkmoth was the pick of a thin scatter of immigrants in the Obs moth-traps. A day that started with not a breath of wind and a glassy sea was not the usual start to a good migrant day, however, by around 9am the cloud had rolled in and some visible passage was noted. 1 Grey Heron and 4 Tree Pipits began the day followed by a modest fall of Willow Warblers with the total reaching 45, 3 Pied Flycatchers also made an appearance with 3 fly-over Yellow Wagtails, 4 Sedge Warblers and 2 Swifts. A lone Siskin, a Lesser Whitethroat and a Spotted Flycatcher made up the single records of the day. 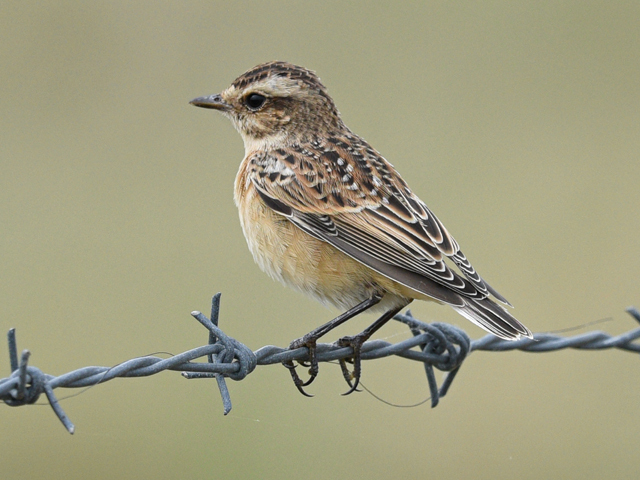 The top fields were returning to their autumnal productivity with 11 Wheatears and 6 Whinchats. The sea was also putting on a fair show species wise, if not in numbers with: 2 Dunlin, 1 Ringed Plover, 1 Turnstone, 1 Manx Shearwater, 1 Balearic Shearwater, 5 Common Scoter, 1 Yellow-legged Gull, and 1 Arctic Skua. Ferrybridge saw a notable increase in waders with: 2 Common Sandpipers, 1 Curlew, 1 Knot, 41 Dunlin, 52 Ringed Plover, 5 Turnstones, 36 Oystercatchers, 1 Grey Heron, 1 Yellow-legged Gull and 2 Common Terns. 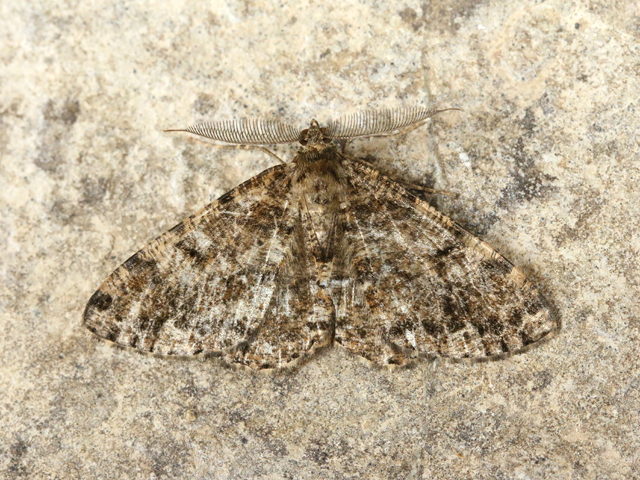 The moth traps had a much more successful night with the first Convolvulus Hawkmoths of the year (1 at the Obs and 2 at the Grove) of particular note; 12 Silver Y, 11 Dark Sword Grass, 3 Diamond-back Moths, 1 Rush Veneer and 1 Vagrant Piercer Cydia amplana made up the rest of the night's tally at the Obs. 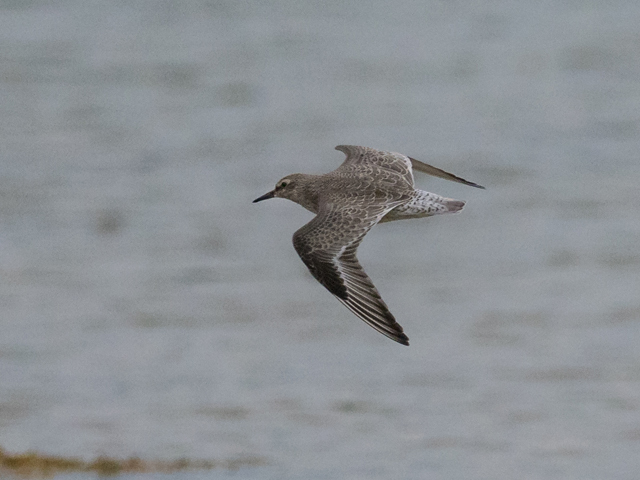 Despite a vast improvement on the weather front, the day remained rather uninspiring migration-wise. As such, it feels like a good time to show off a little success story from the summer. 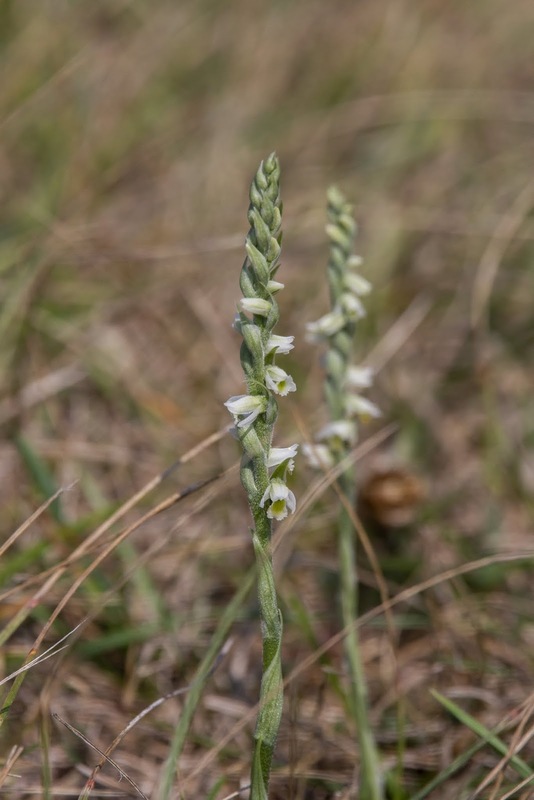 As regular followers of the blog and avid members will know, the Observatory entered into a Countryside Stewardship Mid Tier agreement for our surrounding farmland last year, with the aim of improving the land in regards to diminishing farmland breeding birds. This has included the planting of 'bird friendly' seed crops, an almost complete reduction in pesticides and the distribution of seed throughout the winter months. 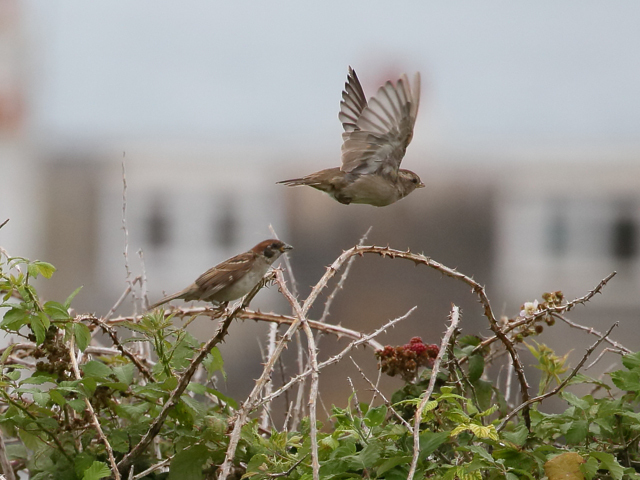 This summer we saw the first fruits of our labour as the first breeding record of Tree Sparrow for Portland occurred! Fantastically, our 'Chippers' managed to lay two clutches and succeeded in rearing a brood of 6 followed by a brood of 5. 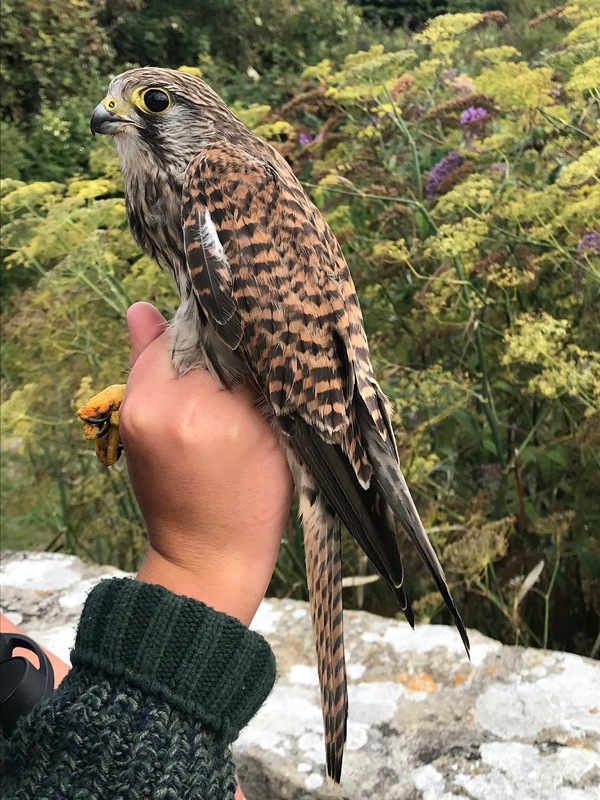 We have already recovered two of the first brood, during our morning ringing sessions, as free flying birds and a third was spotted at Nick Stantiford's feeders in Southwell. Although this is a highly nomadic species, we hope that this could be the start of a successful colonisation attempt. Today's seawatching highlight came from a Cory's Shearwater seen off the Bill at 16:20. Otherwise: 3 Manx Shearwaters, 10 Balearic Shearwaters, 1 Arctic Skua, 16 Mediterranean Gulls, 1 Black-headed Gull and 2 Common Scoter. Land based migrants were, once again, few and far between, although with slightly more variety than the past couple of days: 7 Willow Warblers, 1 Chiffchaff, 3 Sedge Warblers, 2 Tree Pipits, 1 Lesser Whitethroat, 1 Wheatear, 1 Whinchat, 45 Swallows and 24 Swifts. Ferrybridge saw a large count of 33 Oystercatchers, 7 Sanderling and 1 Redshank. Yet another swing in the wind direction and a little cloud cover saw a small rush of migrants. Willow warblers surpassed 200 with 51 trapped in the crown estate fields and garden combined, 10 Sedge Warblers, 1 Chiffchaff, 12 Wheatears, 1 Garden Warbler, 1 Lesser Whitethroat, 1 Spotted Flycatcher and 2 Whinchats. We also received late news of a Marsh Harrier from two days previous. 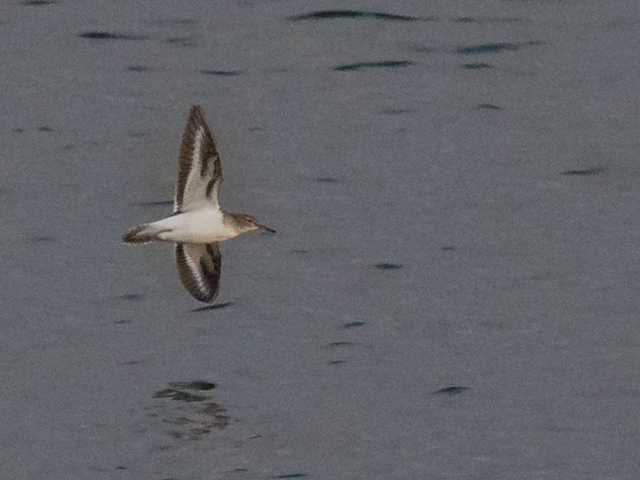 The highlight of todays sea watch came in the evening with 6 Sooty Shearwaters. The rest of the day saw: 11 Balearic Shearwaters, 5 Manx Shearwaters, 1 Arctic Skua, 6 Common Scoters, 10 Mediterranean Gulls, 2 Black-headed Gulls, 7 Oystercatchers and 1 Dunlin. Ferrybridge was quiet compared to recent days with sightings including: 3 Curlew, 3 Sanderling, 53 Dunlin, 30 Ringed Plover and 1 Redshank. 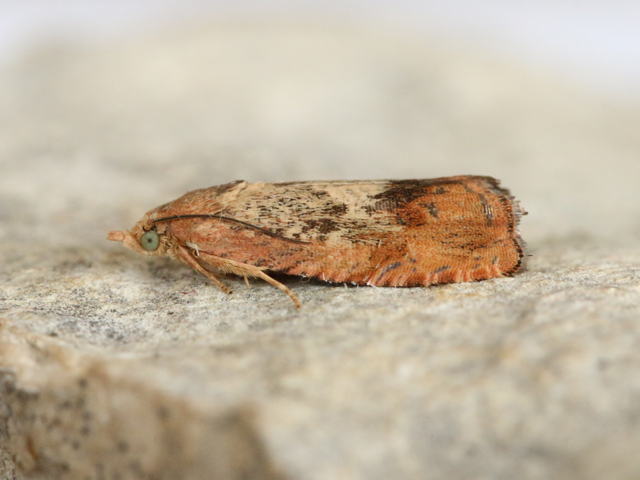 There was a distinct decrease in migrant moths within the traps this morning generating the following totals: 41 Silver Y, 9 Dark Sword Grass, 23 Diamond-back Moths and 1 Rush Veenes.